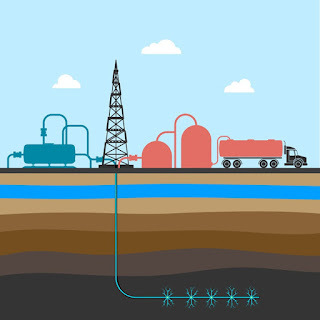 Hydraulic fracturing is the process of using fluid, sand, chemicals, and gels to create or exploit small fractures in a sub-surface rock layer formations in order to stimulate production from oil and gas wells. 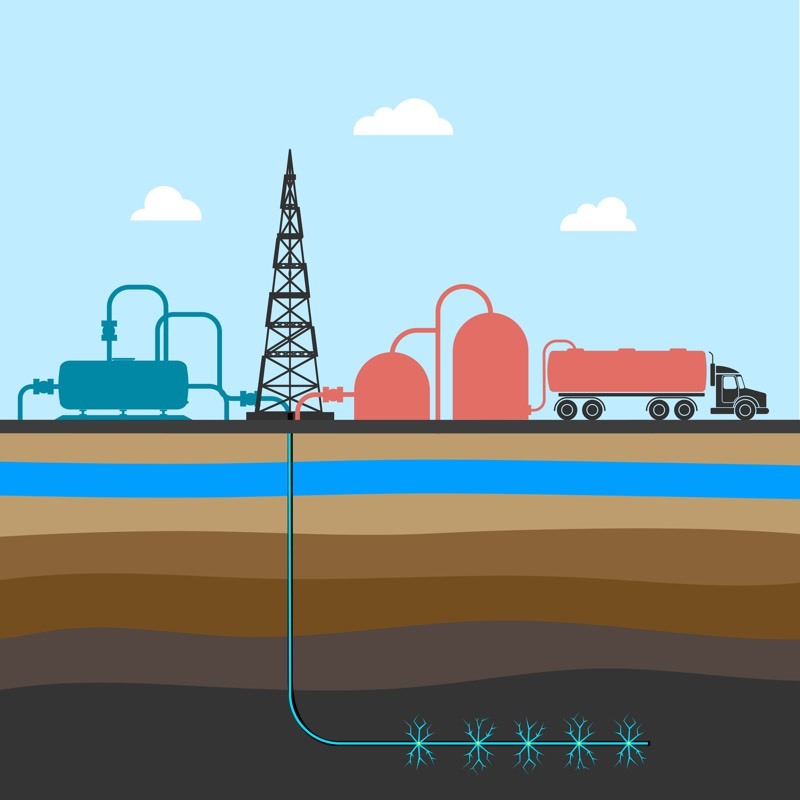 This fracturing creates paths and reservoirs which increase the rate at which fluids can be taken from the wells. In some cases, this process can increase production by many hundreds of percent. Additive Pumps – used to inject liquid additives; different types based on the additive type and additive rate. Annulus – Area between two concentric casing strings or tubular strings. Bottom Hole Treating Pressure (psi) – pressure being applied to the formation including net pressure. Centrifugal Pumps – used on the low pressure equipment to mix and move fluid. Clean Volume (gal or bbl) – volume of fluid pumped without proppant. Dirty Volume (gal or bbl) – volume of fluid pumped with proppant. Flowmeter – used to measure and transmit fluid flow rates; different types depending on application. Frac Gradient (psi/ft) – pressure at which fluid will cause the formation rock to part. High Pressure Pumps – Positive displacement pumps used for pumping downhole. Hydraulic Horsepower (hhp) – horsepower being applied to the formation while pumping . Hydrostatic Pressure (psi) – pressure the fluid column exerts on the formation. Instantaneous Shut-in Pressure (psi) – a pressure used to calibrate the frac gradient. Kick-outs – mechanical or electrical devices that activate at a preset pressure to disengage high pressure pumps. Max Pressure (psi) – the maximum WHTP that will be allowed. Net Pressure (psi) – excess pressure over frac pressure required to extend the fracture . Perf Friction Pressure (psi) – pressure drop across the perforations. Pipe Friction Pressure (psi) – friction pressure of the fluid being pumped down the wellbore. Pop-off – a mechanical device activates at a preset pressure to prevent damage to surface and downhole tubular. Pressure Transducer – device used to measure and transmit pressure data. Proppant – small diameter material used to keep the fracture open. Proppant Concentration (lb/gal) – the amount of proppant added to one gal of fluid. 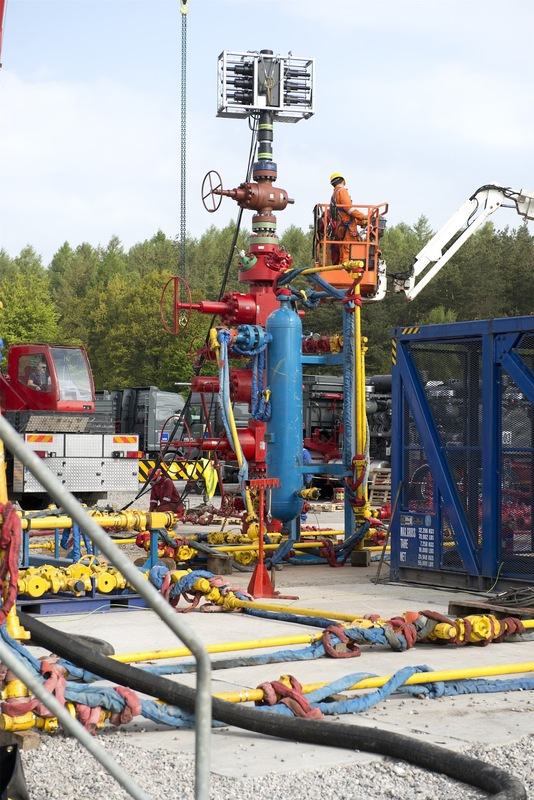 Shut-in Pressure (psi) – a pressure used to calibrate the frac gradient. Solid Additive (lb/Mgal) – a solid chemical added to the fluid system for a specific purpose. 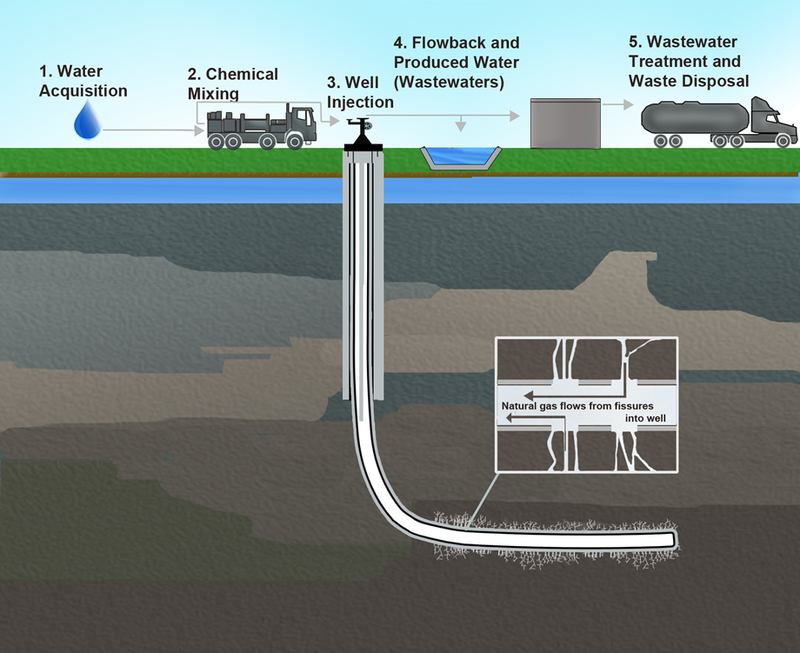 Treatment Rate (bpm) – the downhole rate that fluid is entering the formation pumping. 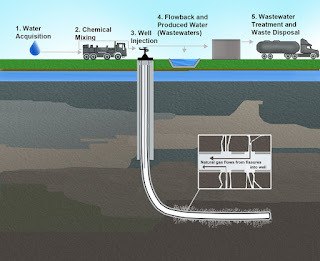 Wellhead Treating Pressure (psi) – the surface pressure at the wellhead during. 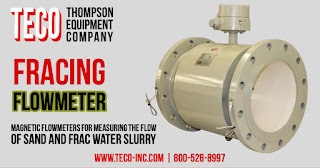 Thompson Equipment (TECO) manufactures highly engineered flowmeters designed for optimum performance in fracing applications. 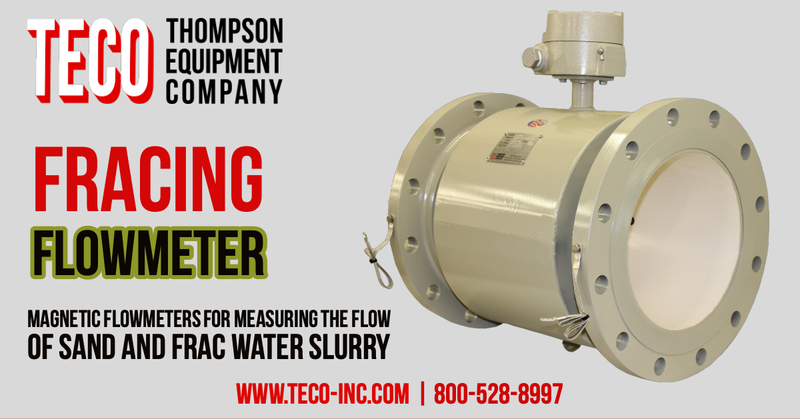 Contact TECO to discuss any severe flow measurement application.